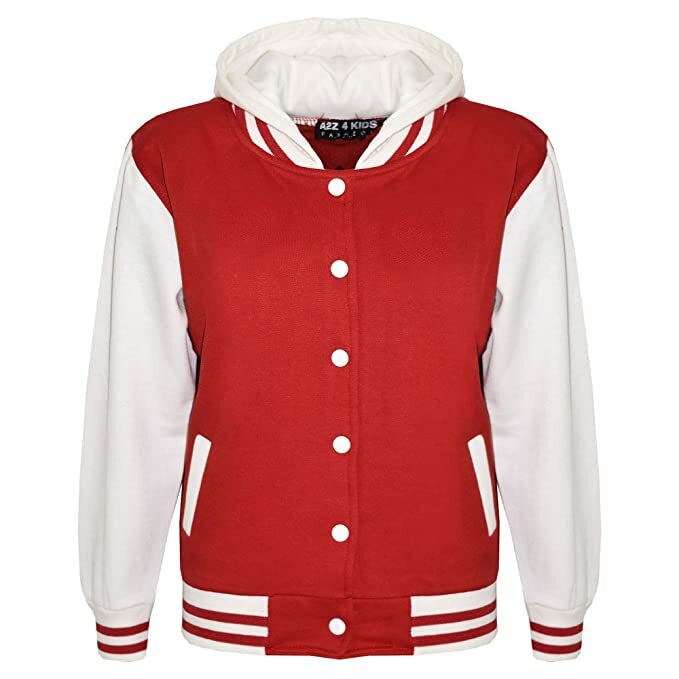 Check out this amazing selection of baseball jackets for girls. 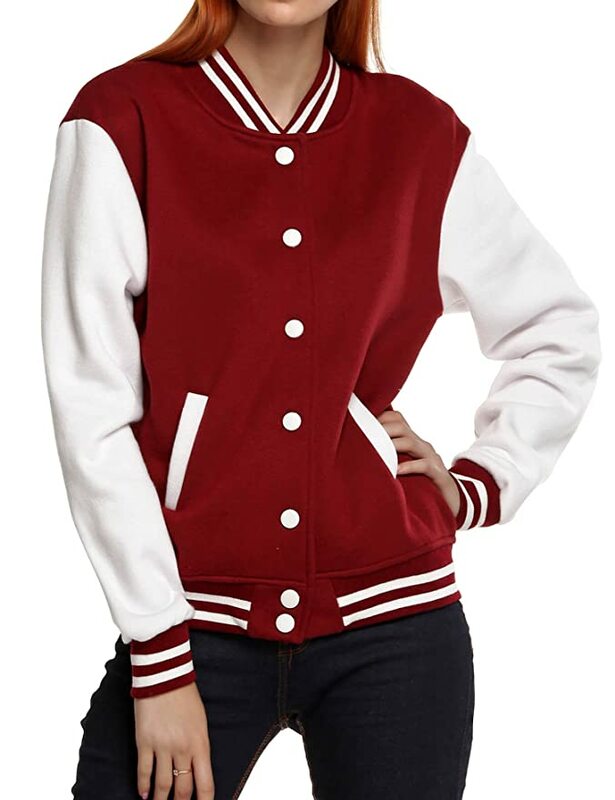 I played baseball as a kid and on into college, so I know just how much girls like wearing baseball letter jackets. 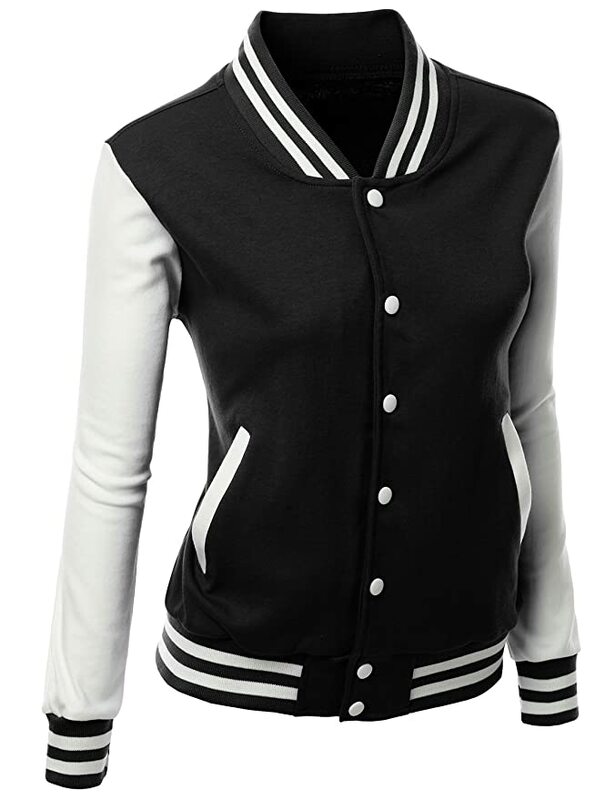 Retailers have gotten smart, and now they’re creating baseball jackets specifically for women. Because they’re made for women, they fit better and are more stylish. 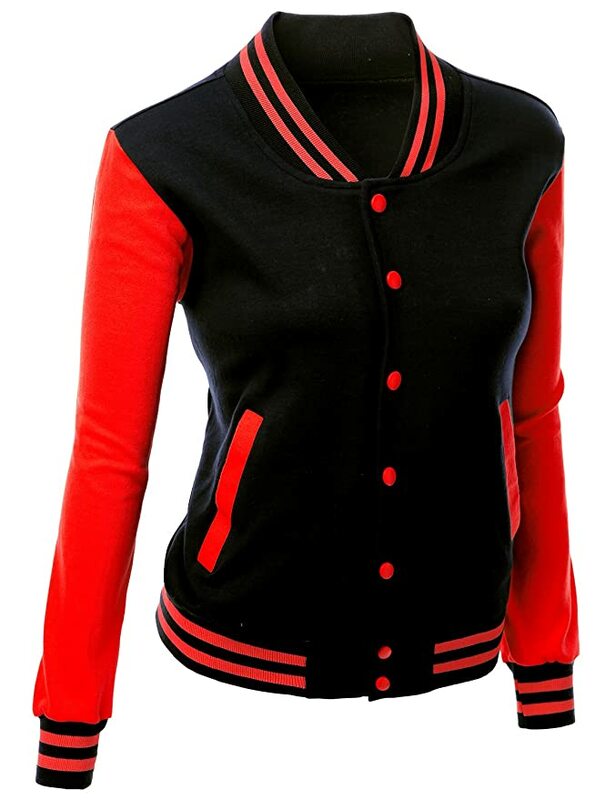 These jackets are great for fans and fashionistas. These jackets go great with jeans or dresses, and can be the perfect addition to a cute outfit. It may sound weird for a guy to be talking about women’s jackets like this, but I’m married to a beautiful woman and have 2 little girls. Believe me, I know how important fashion is for a woman. 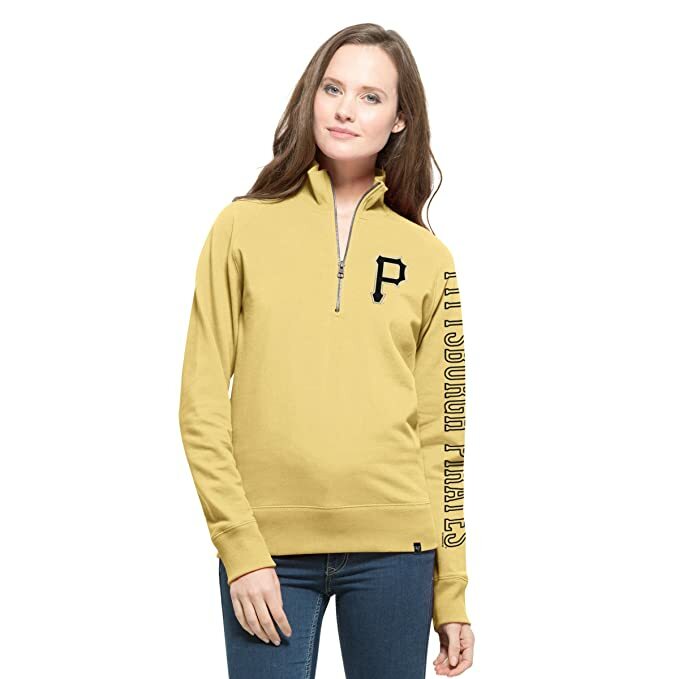 I created this buying guide to help you compare all the excellent choices so you can buy the most perfect and affordable baseball jacket for ladies. 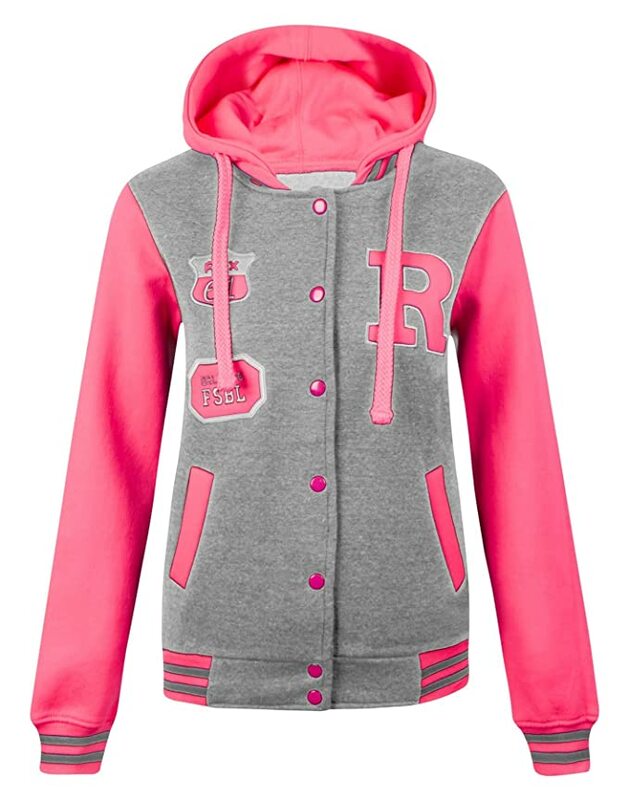 Here are some really popular pink baseball jackets for girls. They come is all sorts of sizes and for all teams, but I’ve chosen a few of the best to feature. Pink jackets are cute and girls of all ages love to wear pink clothes. These are also great for cancer awareness nights at the ball park since a lot of professional teams are now showing their support for cancer victims. I think these are an excellent way to show your support. Make sure you read the description of the jacket you want. While researching these I found some customers commenting that you should consider a size or two larger than you would normally. For the girl that loves fashion! 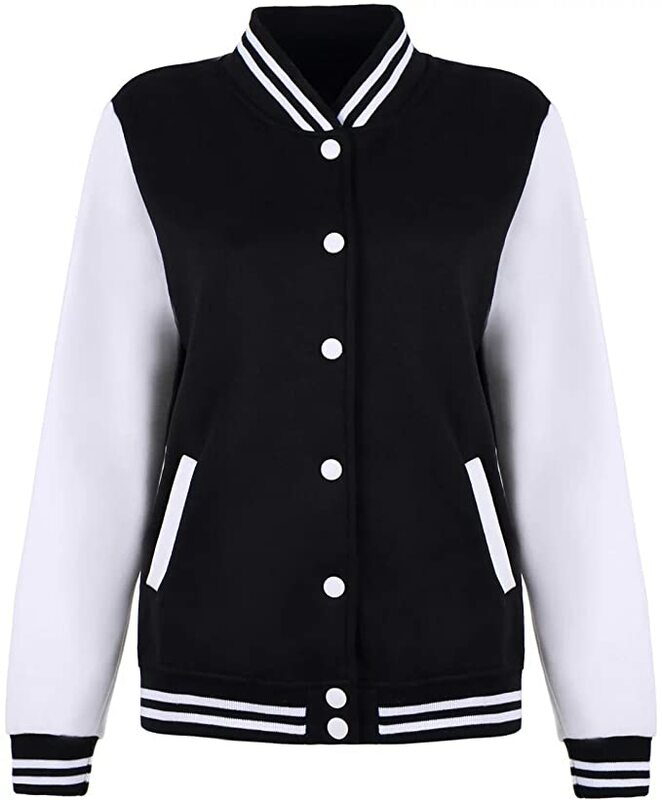 These baseball jackets for girls are especially popular among those who go to school. These have some fun and funky colors, and you can get the one with the hood or without. They are of good quality, they fit right and the prices are affordable. These each come in a variety of different colors to choose from. The first one listed below is super popular and has over 100 customer reviews! 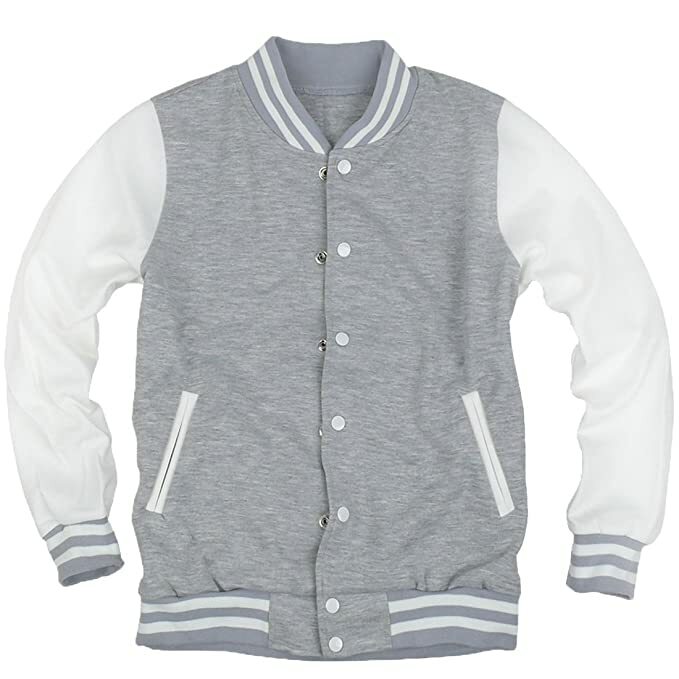 These are all fleece baseball jackets for girls. One happens to be a Major League Baseball team so you can get any of these styles in your favorite teams colors and logo. These types of jackets are perfect for those times when you want to keep warm but you don’t want to wear anything too bulky. The fleece is comfortable and great for a variety of weather conditions. If you don’t like bulky jackets, this is the best choice. The Yankees jacket is the only one that you might consider expensive. All the others are very affordable. I was actually shocked to see how low in price the others were. Another reason why they’re best-sellers! 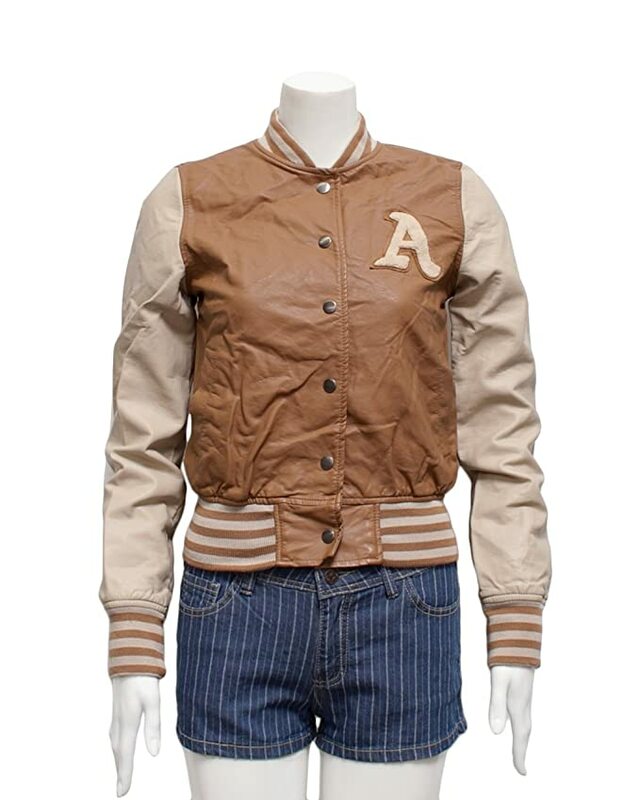 This is one of the many synthetic leather baseball jackets for girls you can find on Amazon. This particular one is the most popular model. You can wear it with a variety of outfits and it will keep you warm especially on those windy days. My wife would wear this jacket with jeans most likely and tennis shoes. The first one pictured above isn’t letterman style but it does have that neat leather look to it. You can wear these in the winter and fall for sure. Some of you may be able to wear them in the spring. It all depends upon where you live. I’m a huge fan of the MLB baseball jackets because they are high quality and they sport your favorite teams logo. Do you have a favorite team which also uses red for their main colors? If you do then one of these would be a great choice. If you don’t see your team here, you can click on any of these images and then search for your team on Amazon. Red is a popular color and many girls like having some sort of a red accessory, these will serve that purpose for any fashion conscious girl. 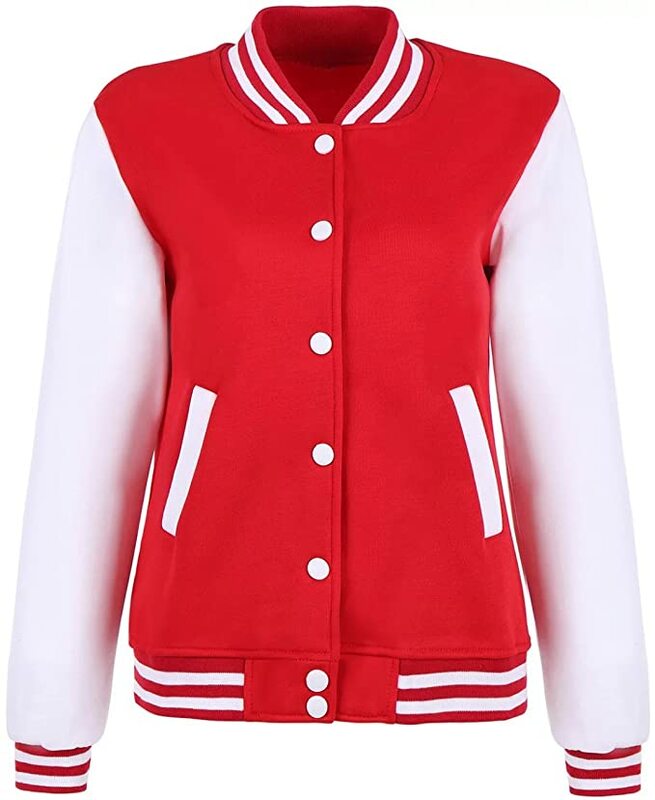 Which of these baseball jackets for girls do you like the most? If you didn’t see the one you really wanted then check out this deals page on Amazon. You can also just get one of these jackets to go with your costume like these. Even girls can look good in baseball jackets. So, why not design with them in mind too? I hear you Audrey! I have a wife and two daughters! I had better know about these things right? 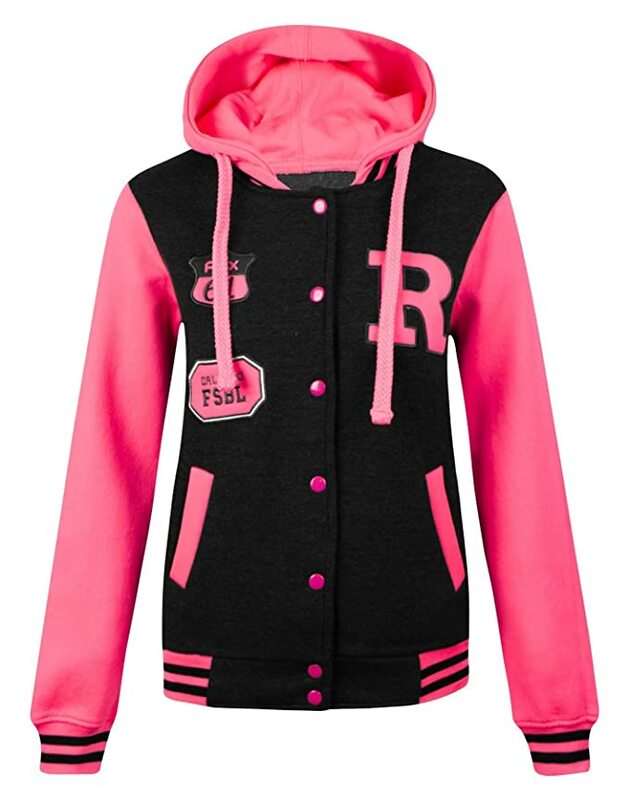 You have some really cute baseball jackets for girls, I can’t decide which one to buy?! Thank you for sharing, it’s hard to find a variety like this, but you’ve narrowed it down nicely.